I feel a little silly that it only really hit me on Saturday that I’m going away next Friday for a week and I have a greenhouse packed full of seedlings. Although we have someone house sitting for the dog, the worry is they’re not a gardener and, as has happened before with someone else, I’ll come back to a greenhouse and garden full of death and destruction. Consequently, during today’s beautiful sunshine, I finally sprung into action. I decided to focus on the veg patch as many of the flower seedlings are still quite small and so will hopefully last better in their seed trays than some of the larger veg. And none of that hardening off nonsense, – no time – into the ground and get on with it! So, after a great deal of structural work by the other half (thanks Andrew!) 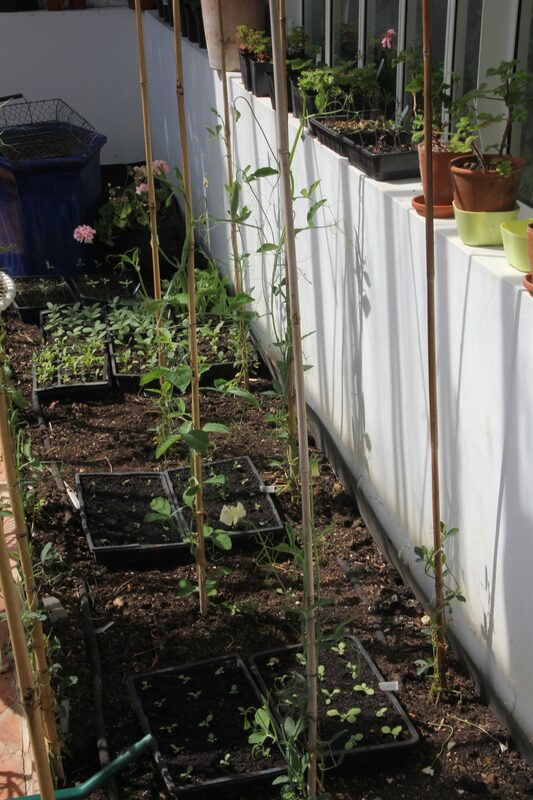 I’m delighted to report I now have Cavalo nero ‘Black Magic’, Broccoli ‘Early Purple Sprouting’ broccoli, Courgette ‘El greco’, Courgette ‘Gold Rush,’ Broad bean, The Sutton Dwarf. Oh, and all those things that look like peas, well they’re Sweet Peas. Close enough! Fingers crossed for everything else! 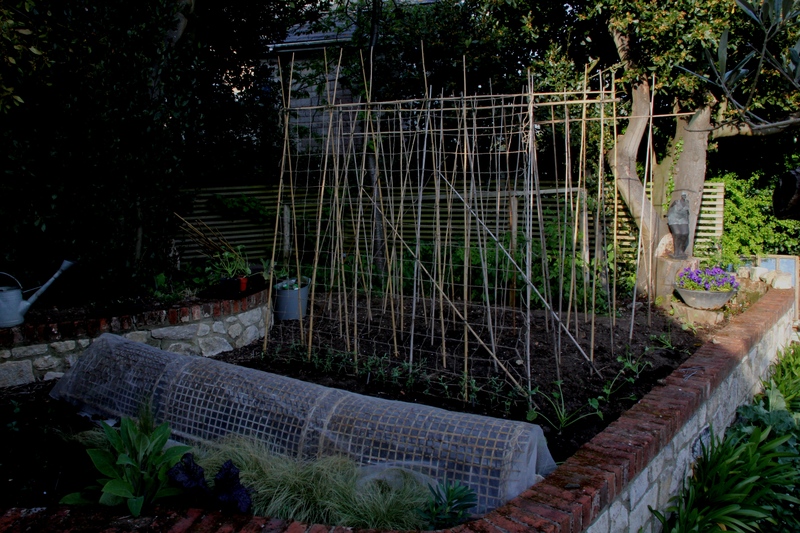 This entry was posted in Garden, Greenhouse, Veg patch and tagged Broad bean Sutton Dwarf, Broccoli 'Early Sprouting' broccoli, Broccoli Early Purple Sprouting, Cavalo nero 'Black Magic', Courgette El greco, Courgette Gold Rush on May 8, 2016 by jenhumm116.